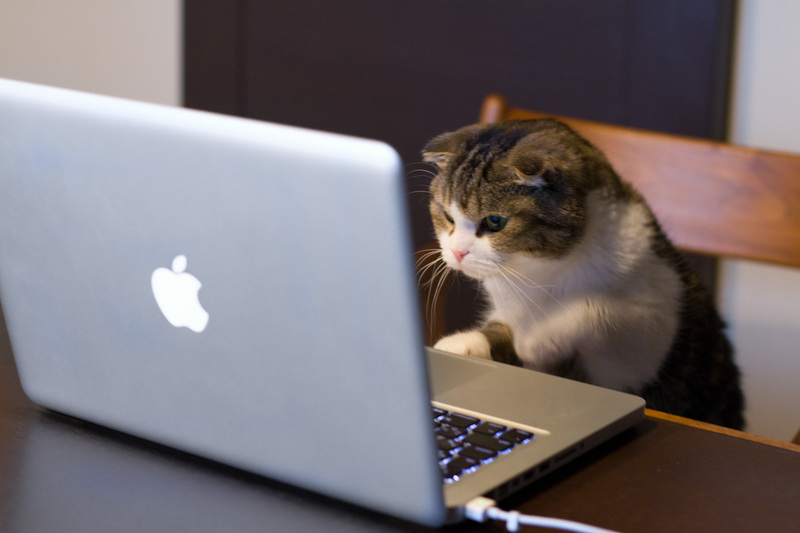 Attending Global Pet Expo 2015? – What’s your plan? There are over 1070 exhibitors at Global Pet Expo 2015 and the show is “open” for 26 hours. Let’s “Do the Math!” If you don’t stop to chat with anyone in the aisles or for food, a drink or to go to the bathroom, don’t attend any classes…and allow no time for walking, you can spend about 1 and half minutes with each exhibitor…Perhaps you need a plan…?? For many of us, Orlando is a nice escape from the winter weather. However the primary purpose for attending GPE or any industry event must be to improve your business. With 1070+ Exhibitors you have 1½ minutes for each, if you don’t eat, drink, go to a class, go to the restroom or allow time for walking….You may need a plan! Of course, you should take the time to visit the new product area, sign up for helpful classes, network with other industry professionals and walk the whole show. When you walk the show, the strength and enormity of our growing industry will be readily apparent. Every business can improve in terms of products. If you are a retailer, what sections of your store are not doing as well as you hoped and need a “facelift” or conversely, what areas are growing and need products to fill additional space? Category managers are only interested in visiting exhibitors relevant to their “categories”. Representatives also may be looking for new manufacturers…in specific product categories. Manufacturers could be looking to find distributors to handle their products or just looking to “check out” the competition. 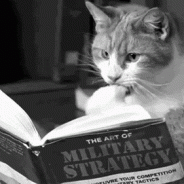 In regard to products, there is always something…for everyone! The Pet Industry is widespread across Retail America with over 150,000 outlets selling Pet Products – including 72 of the largest 100 retail chains in the U.S. This huge base generates a huge variety of needs…both immediate and long term. 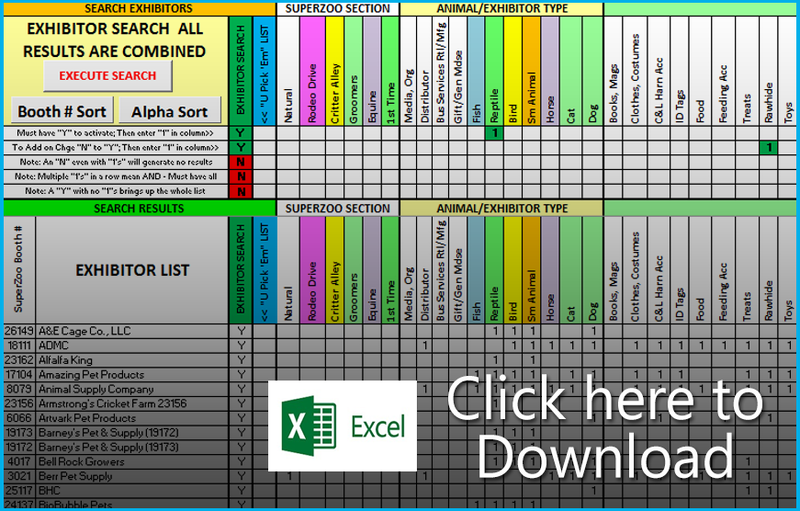 Last year I designed a tool in Excel, the Super Search Exhibitor Visit Planner to make “working SuperZoo” easier and more productive for ALL attendees – retailers, distributors, reps, groomers, vets…even exhibitors. I have updated all the data and made a “tool” specifically designed for GPE 2015. To the most complex…”can do a simultaneous search for multiple specific product categories, allowing me to personally narrow down the initial results and see the “final” alphabetically or in booth number order”. The GPE Super Search Exhibitor Visit Planner does both…and more…and does it quickly! If you are going to GPE 2015 – Plan your Work! Work your Plan! It will pay big dividends to your business!…and the GPE Super Search can help! In my next post, we’ll start to look at the “migration” of the U.S. consumer between retail channels.